Are you an item collector? I used to collect hats but am thinking of destroying them all/dropping/selling them all for the bank space. One of each "kind" of hat - meanining for a Partyhat I would only need one, not the entire set. This means hats must look UNIQUE. 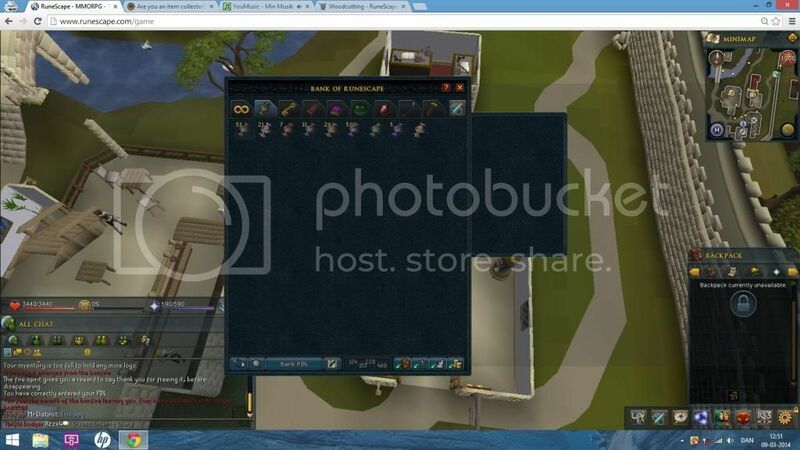 Before EOC all full/med helms were just recolors. They have since became unique but I haven't added any to my collection. My favorite hat that I own is the White Beret. My favorite hat that I want is a White Partyhat. I stopped bothering with my collection when I had failed to get any horns from SOF as it means I can never, ever, ever, ever, ever, ever, ever, complete my hat collection. I do have collections, but not nearly as extensive as the ones you have. I collect stuff that is dropped naturally, I never buy anything. Like, I have 1k acorns from nests, stuff like that. I'll post a picture when I have a chance. @Rena - That's alot of hats Rena don't let the sof headpieces discourage you! Do you plan to get 1 of each type of hat (excluding rares)? While it is next to nothing compared to your current collection - I'll donate your way any burnt sharks I get while cooking for my strange rocks. I think I have a few hundred currently. Just add me in game and whenever I get 1k of them or something I can give them to you. I got rid of the hat collection for bank space just yesterday. 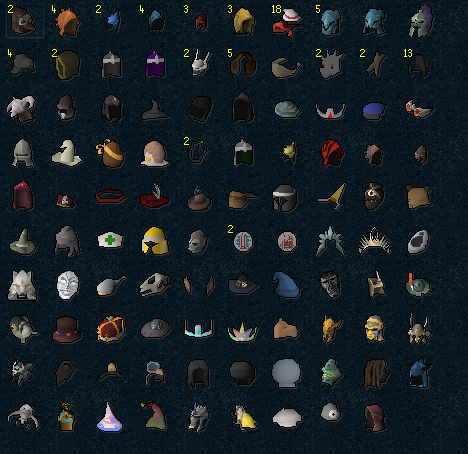 I kept some of my favorite hats or hats that cannot be reclaimed (bear head), but decided I value my bank space more than a hat collection I never use. Will be after I get my White Phat. Anyone still have any of these? As you wish. Here's my collections. I've recently started collecting Broad Arrowheads. Only have about 200k of them. But im slowly going towards 1,000,000 of em.